Welcome to the final installment of our 2017 French Open LiveCast and we hope our fanz and haterz would join with us as we erase all of these last two weeks from memory. Don't forget you can tweet us at @A_Gallivant (Andreen), @JLR78 (Janina) and @RealzTenisFanz (Realz). 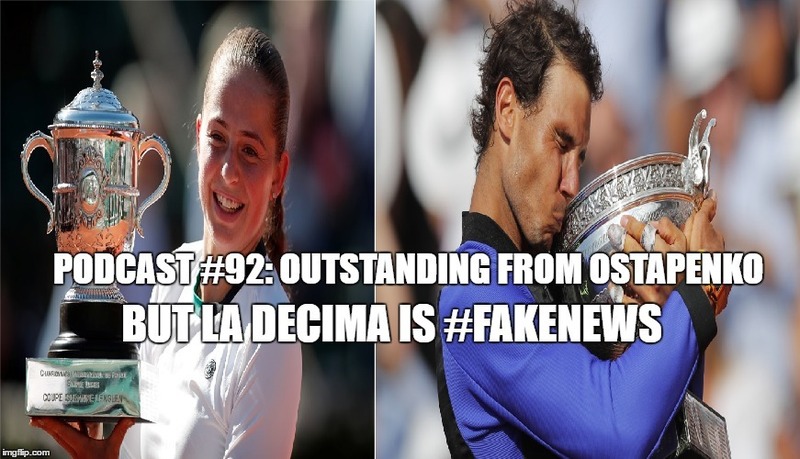 We discuss "La Decima", the poor state of the ATP, Ostapenko's performance and the missed and taken opportunities of the WTA tour. We also got some lil tidbits on other news. Don't forget to comment below and find us on Podbean, iTunes and of course on YouTube.